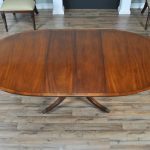 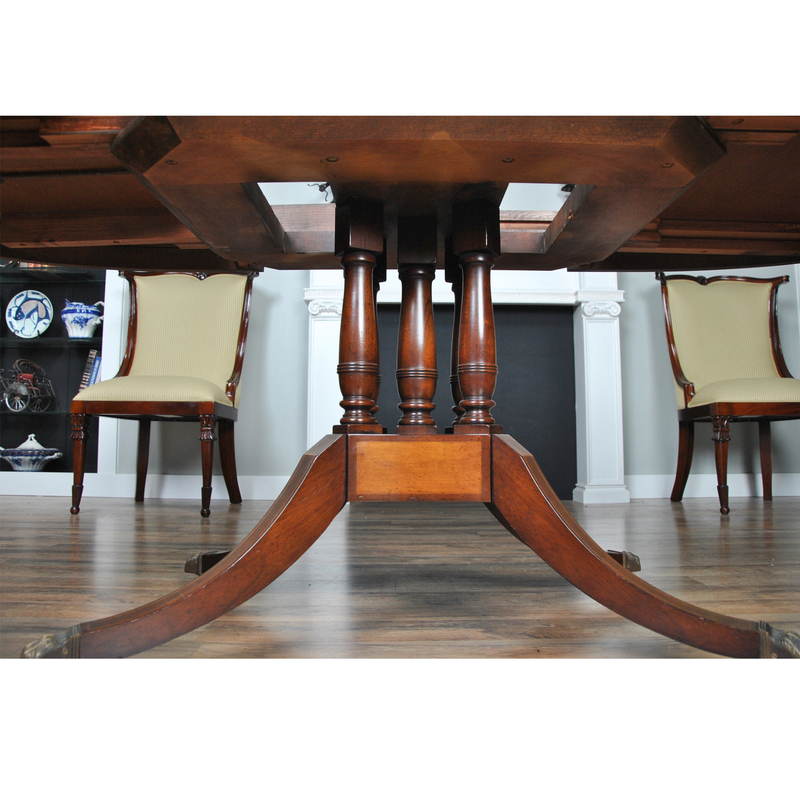 From Niagara Furniture a vintage Beacon Hill Dining Table by Kaplan Furniture in excellent original, as found, condition. This dining table is both a great size and shape. 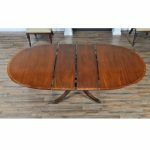 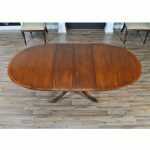 At 40 inches wide and 58 inches long this beautifully shaped oval dining table expands with two leaves to become 78 inches long and seats eight chairs with comfort. 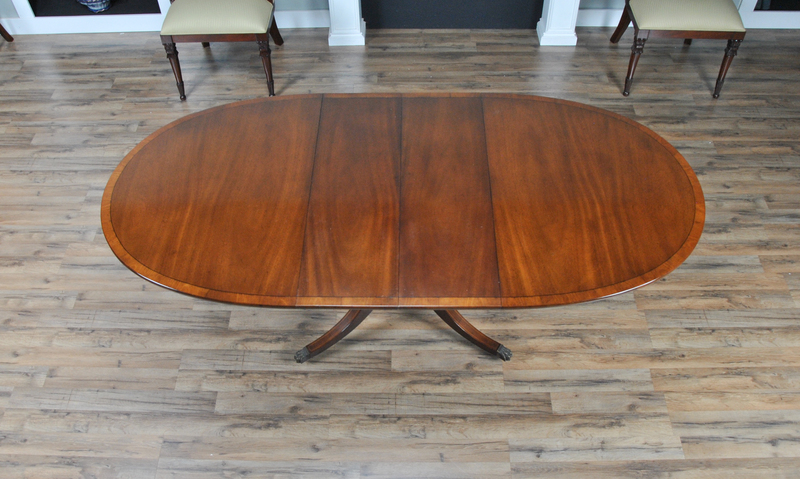 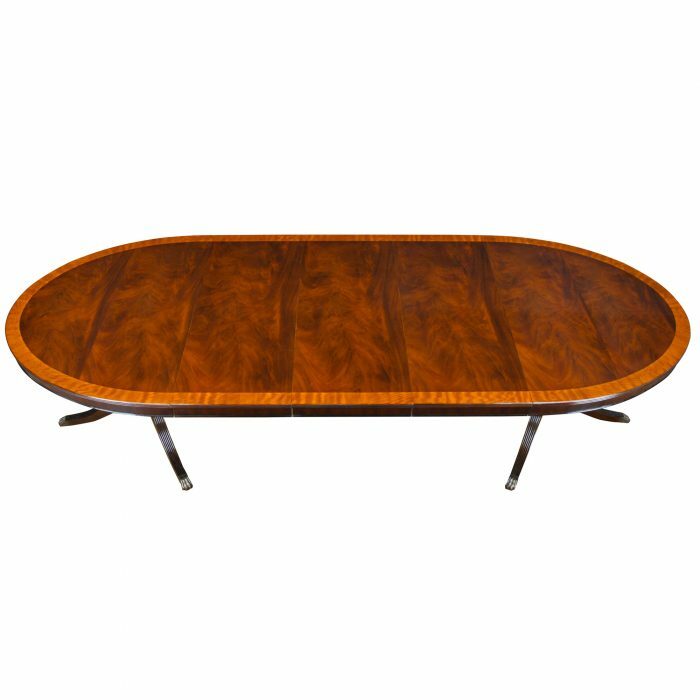 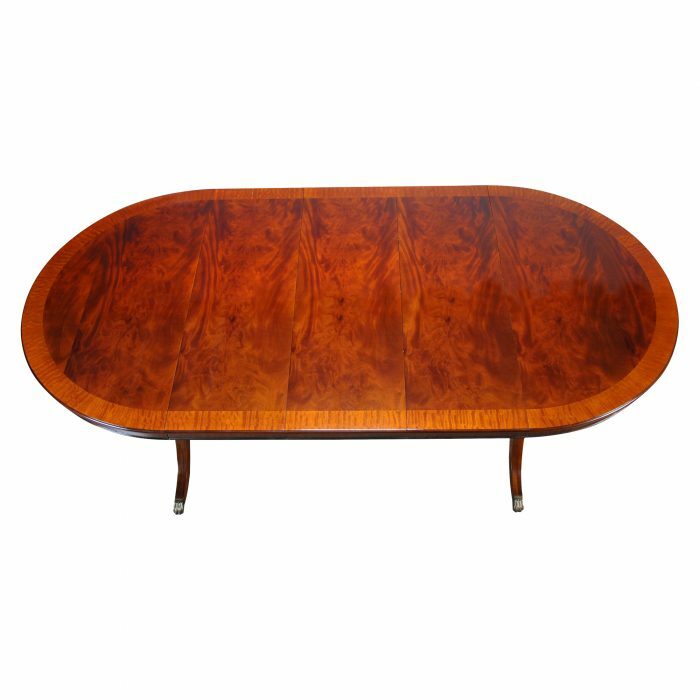 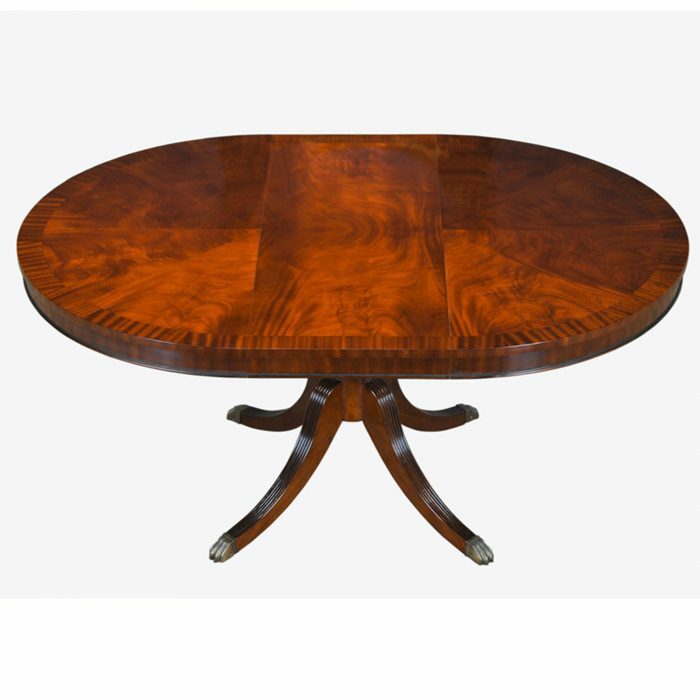 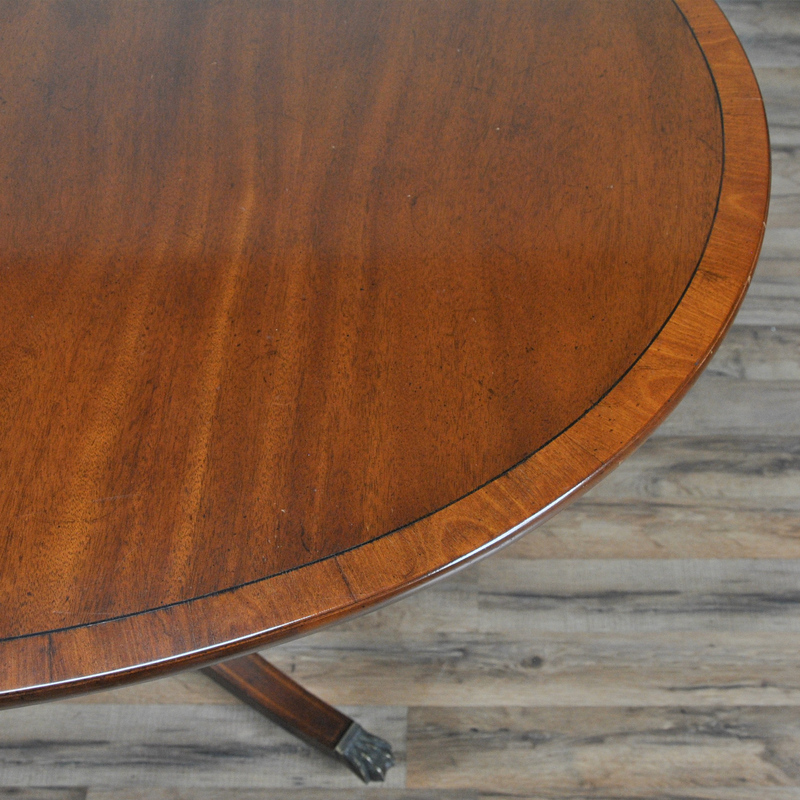 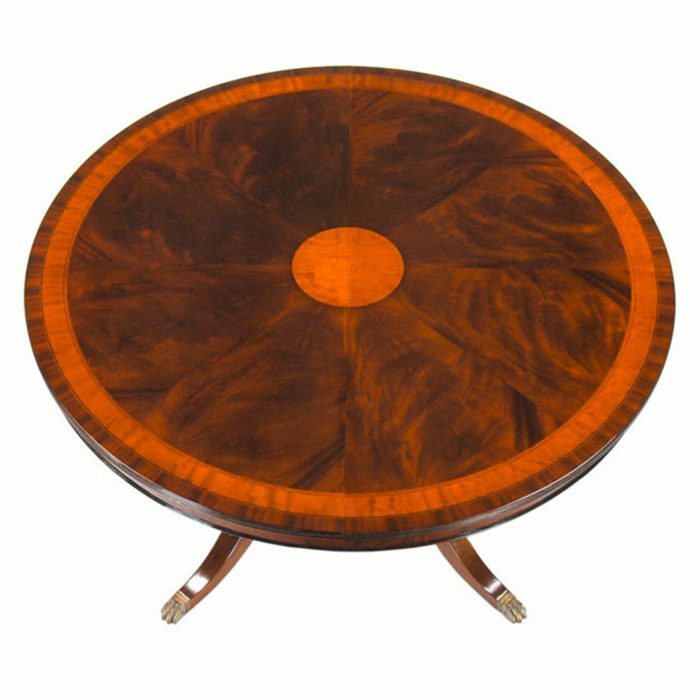 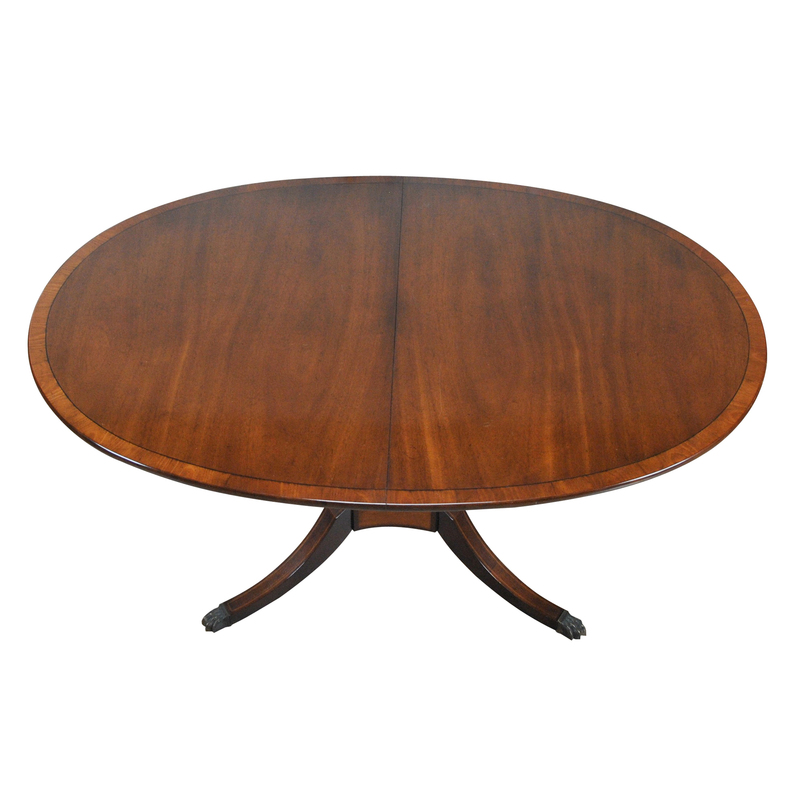 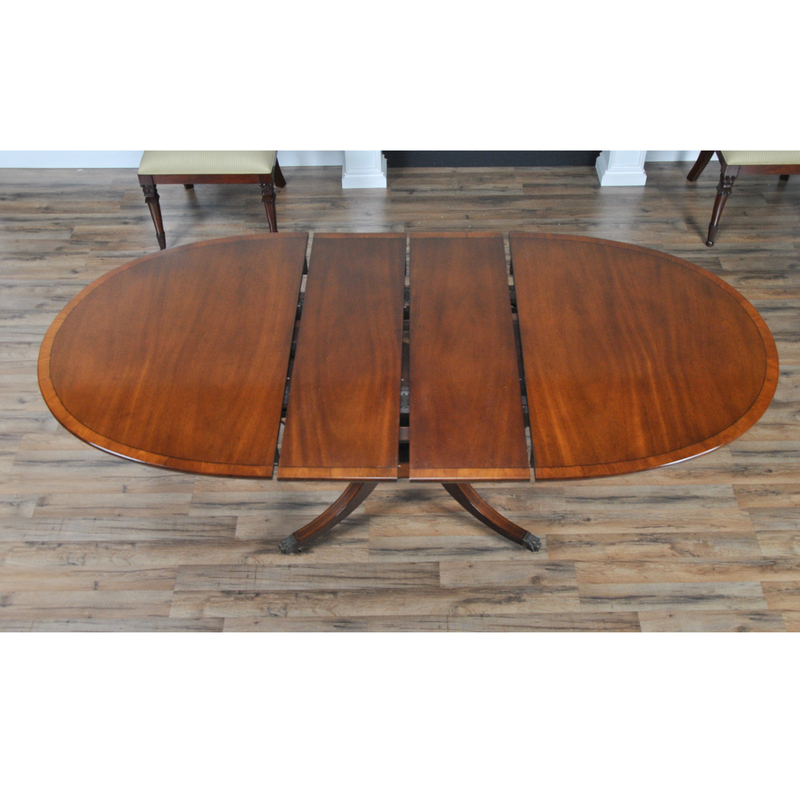 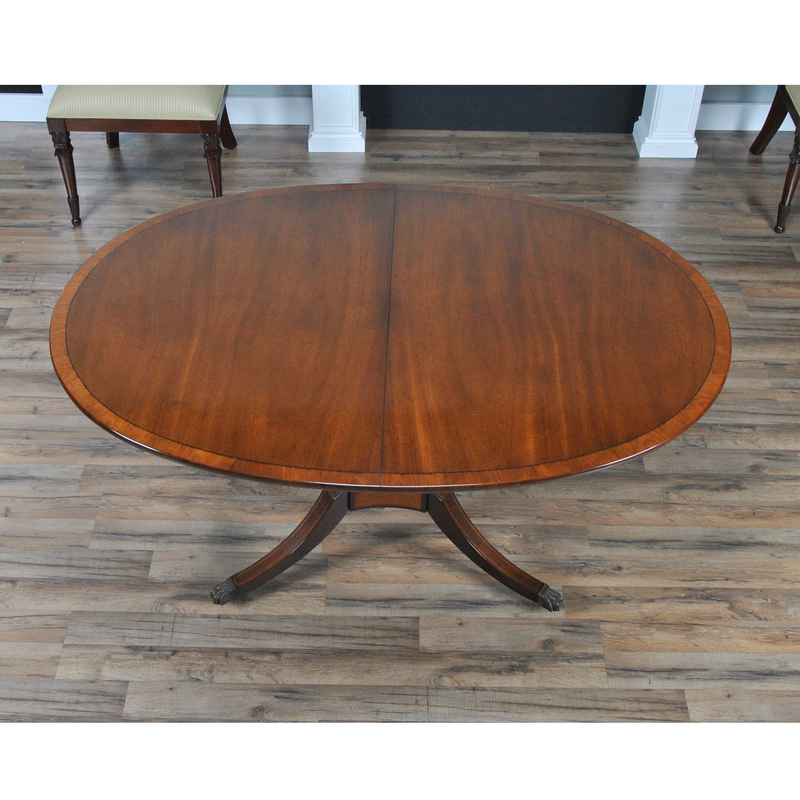 The table top of the Beacon Hill Dining Table boasts the finest grade mahogany veneers arranged into an eye catching design and surrounded by a refined narrow rim of banding. 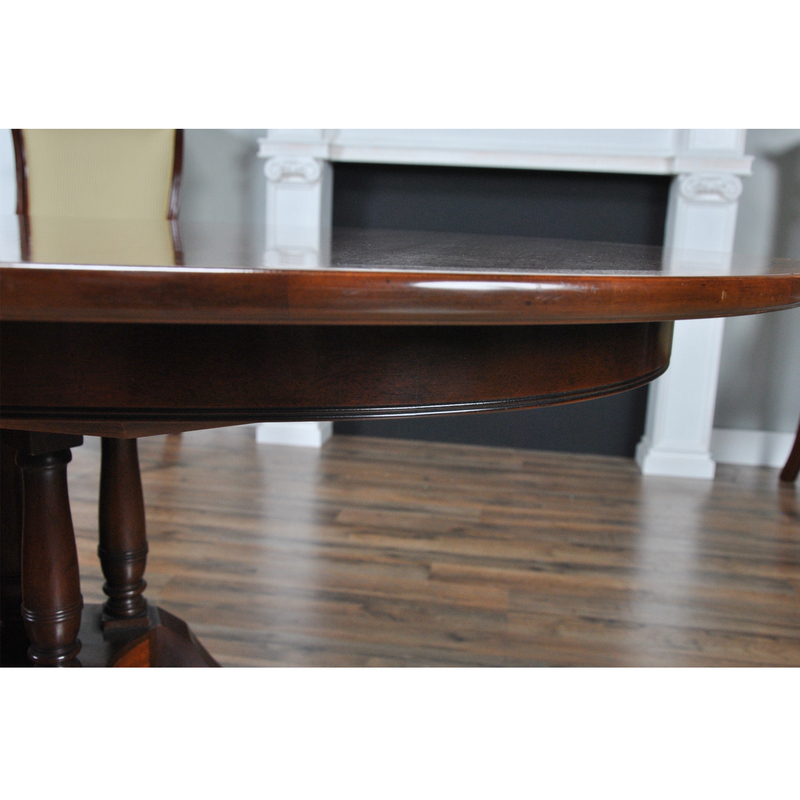 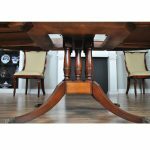 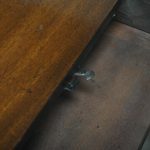 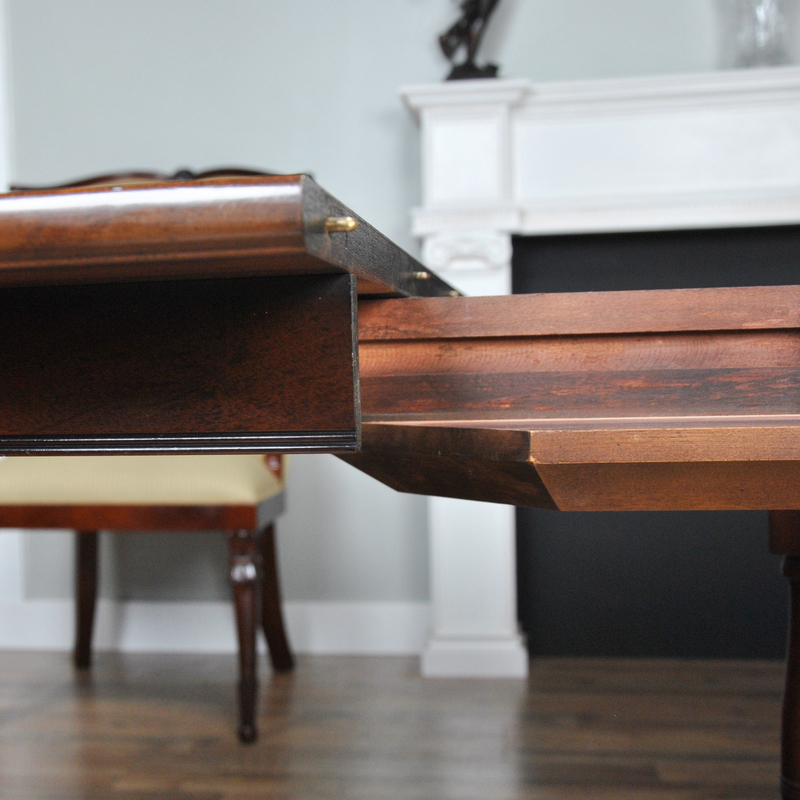 The table opens using some of the finest quality wheeled, wooden rails and it locks shut with a concealed handle underneath one end of the table. 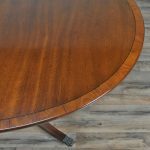 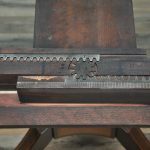 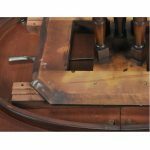 Just below the table is a beautifully shaped oval apron or skirt which hides the mechanical features of the table from view, the table leaves also having similar skirts. 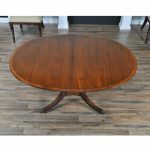 The oval shaped dining table rests on a fantastic, solid base made up of of four inlaid legs, an inlaid platform and five turned columns which support the table top making it feel rock solid even after decades of use. 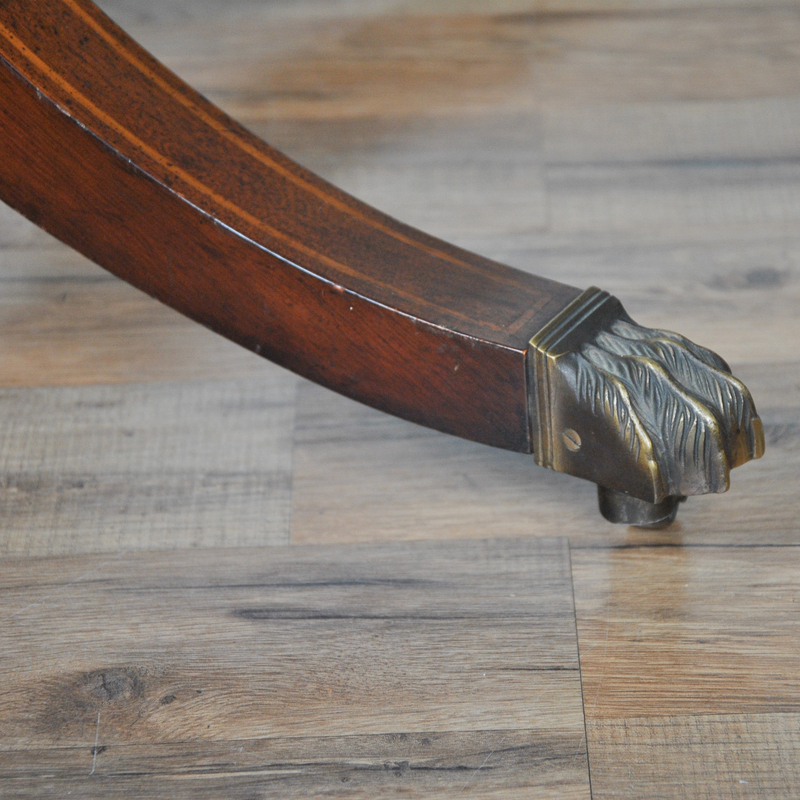 The feet of the base are tipped with high end brass caps in a Regency style foot, all resting on wheeled castors making it easy to maneuver. 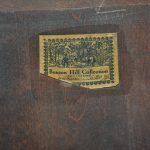 “The Kaplan Furniture Company was established in a tiny shop in Cambridge, Massachusetts, in 1905 by Isaac Kaplan, who had emigrated from Russia, via England, with his wife and children just the year before.. Legend has it that a Beacon Hill matron came into Isaac’s shop one day and said: “Last night my dinner guests so admired my antique Sheraton chest of drawers that I want you to copy it for my daughter’s wedding gift. 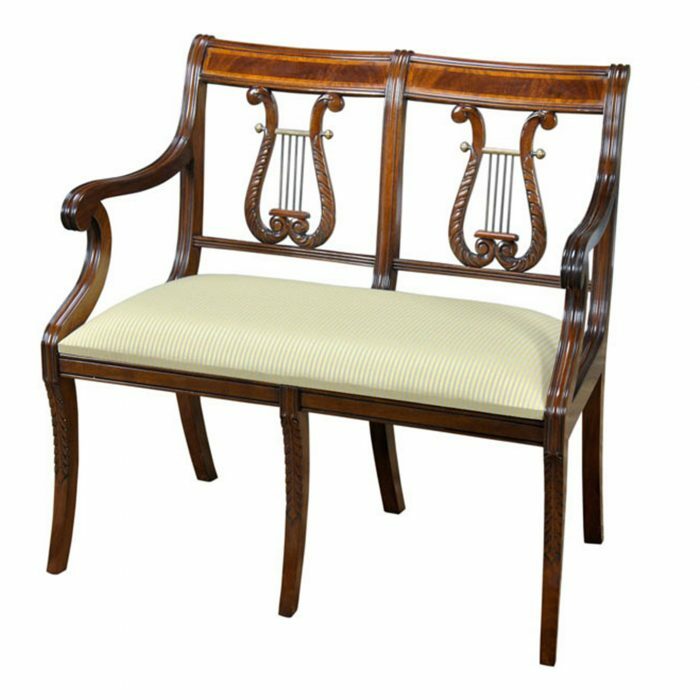 Can you duplicate its design? 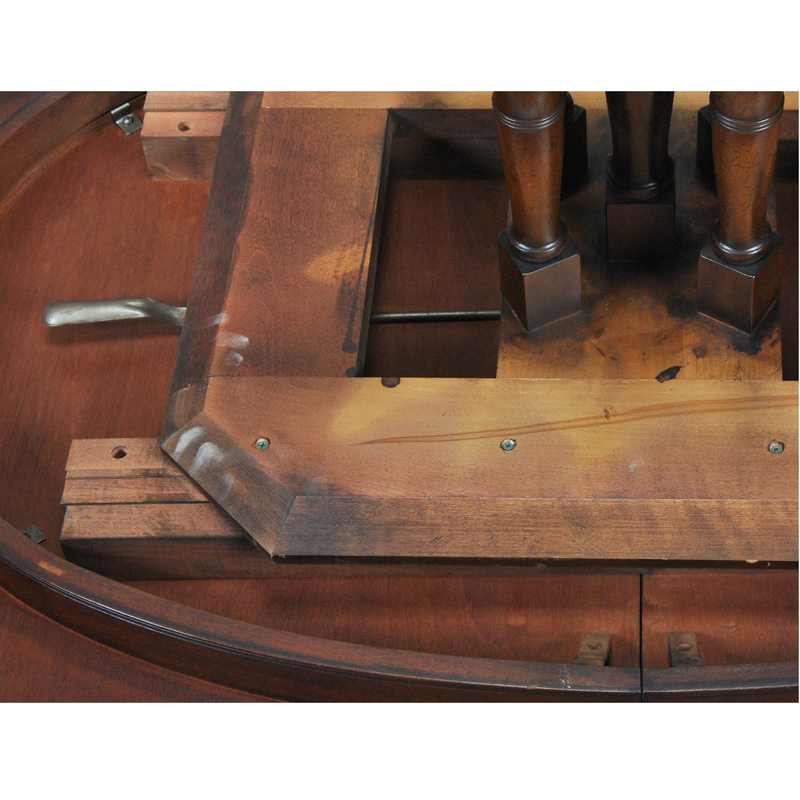 Can you reproduce the same gentle contours of the original?” Isaac did and his furniture reproduction business began. 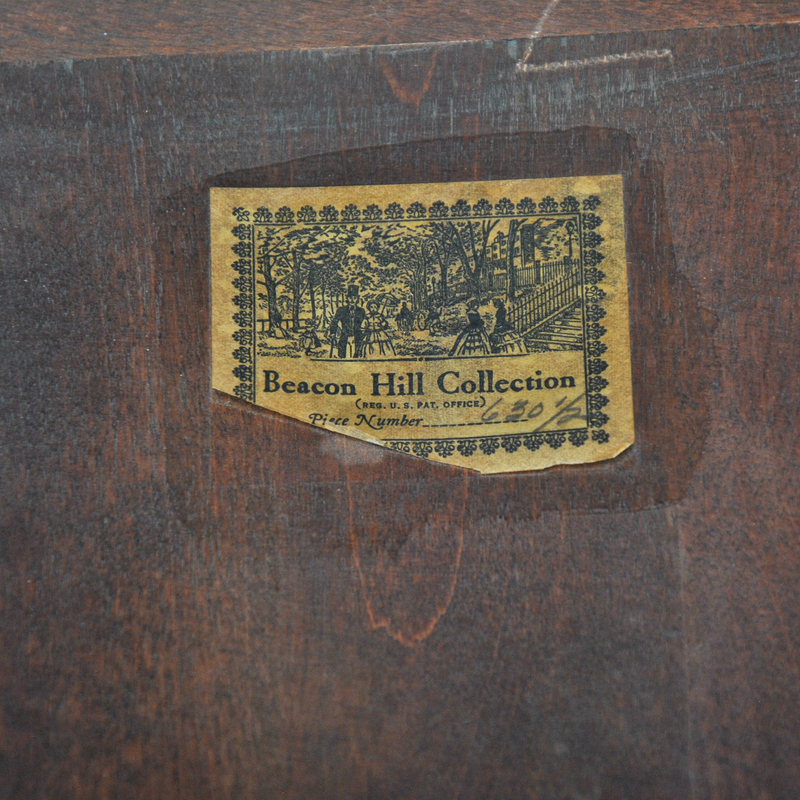 Shortly afterward, Isaac designed a pair of tip tables that marked the beginning of the Beacon Hill Collection, his principal furniture line. 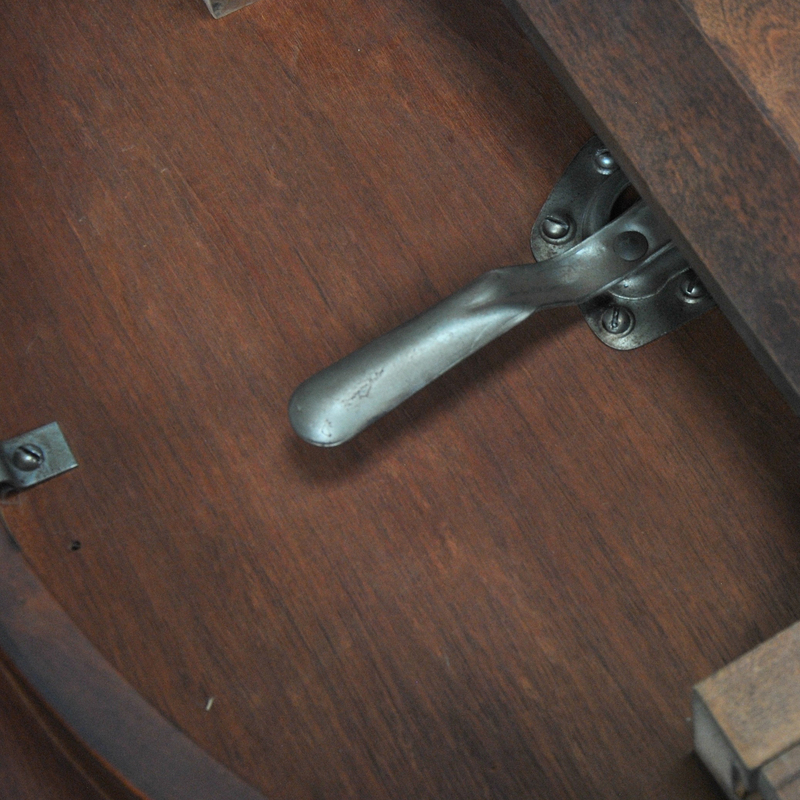 Isaac quickly gained a reputation for building quality furniture, much of his work being reproductions and adaptations of antique pieces. 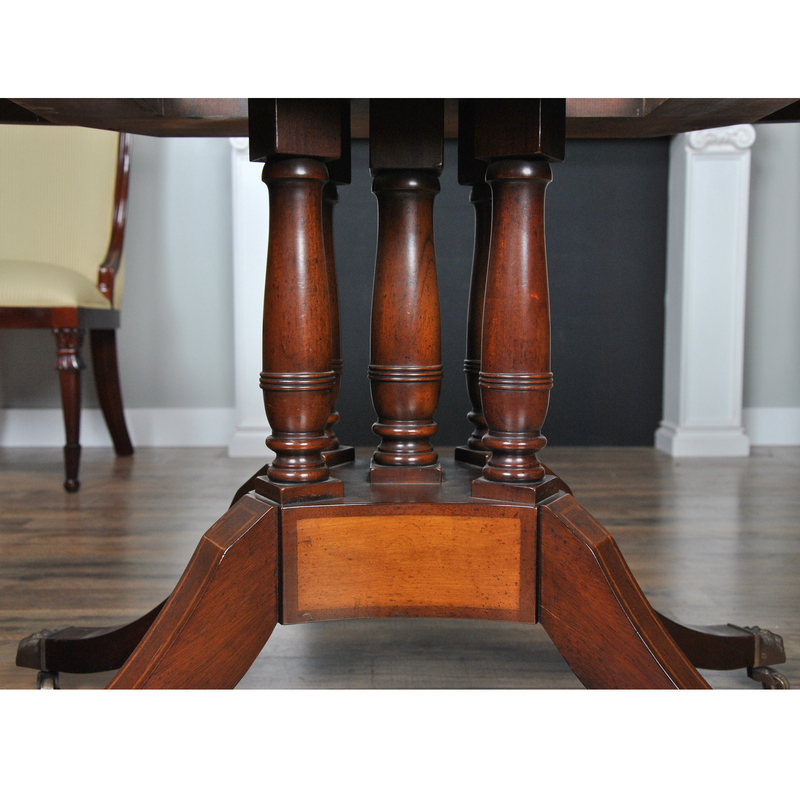 Later, the company acquired the Old Colony Furniture Company and continued to make pieces under that name as well. 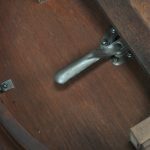 At the 1939 World’s Fair in New York City, the Kaplan company showed an exhibit of three rooms of miniature furniture, designed by someone named Dexter Spaulding. 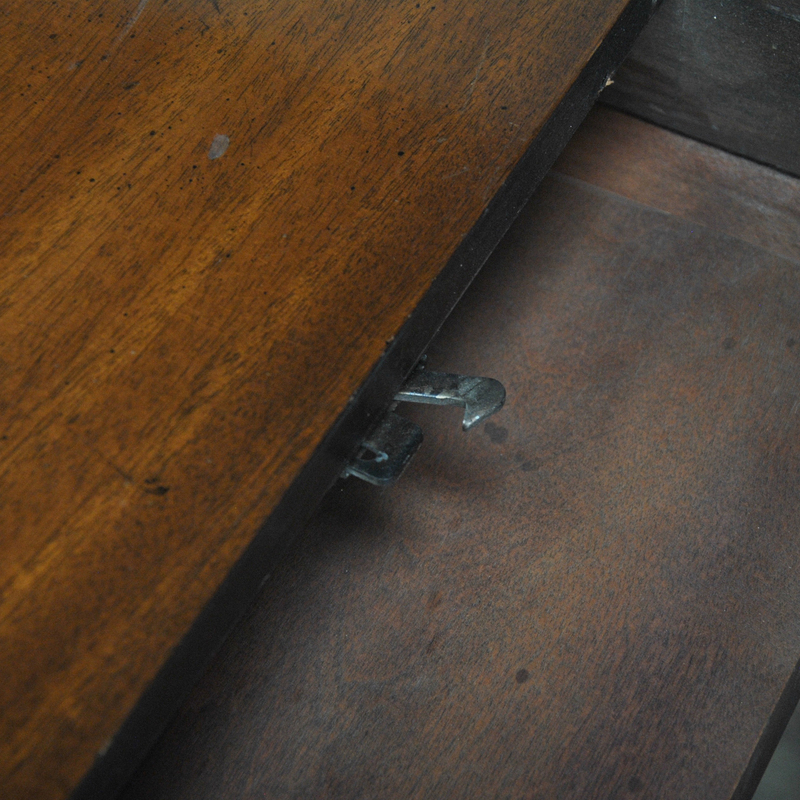 This exhibit subsequently traveled to other venues. 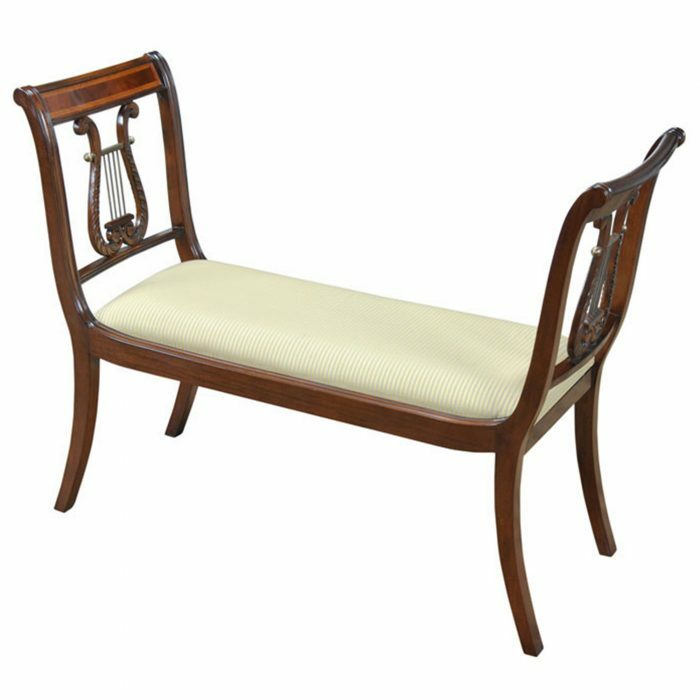 The company made furniture for W. & J. Sloane and also, under contract, for the United States government.